This is a sample grid of Malaya and its vicinity. 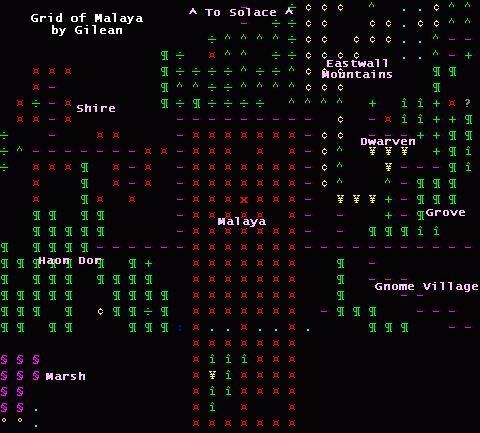 Please read help cartography to look up the legends for the symbols. Grid-ing our world gives us more accuracy when layouting our areas, and makes it easier for an explorer to map them. In AT, if you are navigating the coast to get to the other side, you REALLY are going along the coast. For explorers, the well-connected areas allows you to find ways through areas or going around them.